All children grow up except for one. 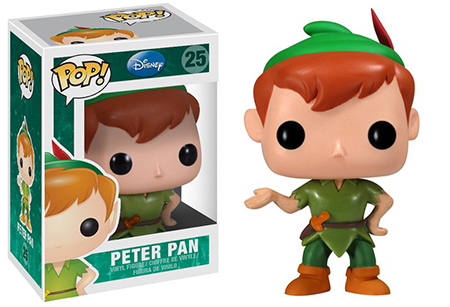 Funko Pop Peter Pan celebrates the timeless characters from Neverland, offering main figures and several exclusives. The mischievous leader of the Lost Boys, Peter Pan is dressed in the green Robin Hood-esque attire, with a dagger on his belt. 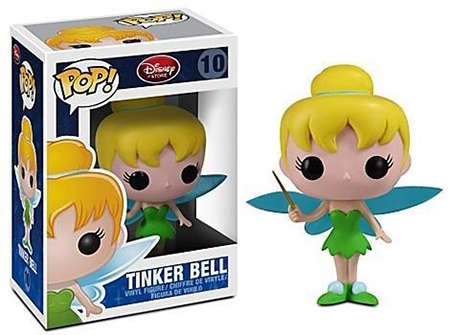 Pan's loyal fairy, Tinker Bell dons a green leaf dress with blue wings visible behind her petite frame. 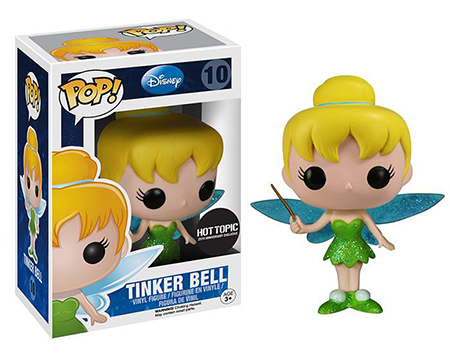 Additionally, fans can find Peter Pan flying and a glittery Tinker Bell at Hot Topic locations. 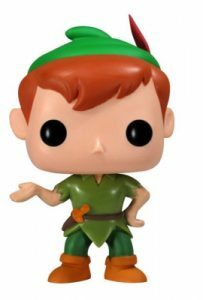 Shop for Funko Peter Pan Figures on Amazon. 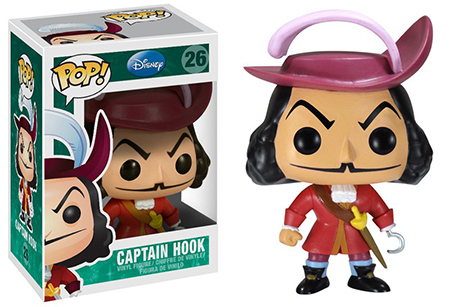 Of course, no Funko Pop Peter Pan list is complete without Captain Hook! Pan's nemesis resembles the animated character as the pirate sports a rather large purple hat over his long hair. Adding to the detail, the combination of his thin arched brows and a mustache draws attention to his pointed nose. 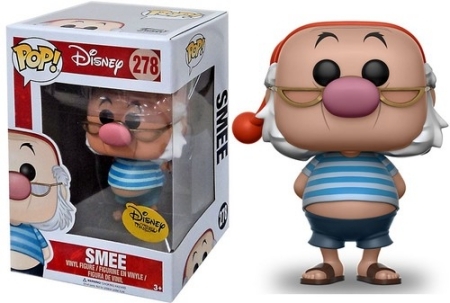 Numbered as part of the main Pop! 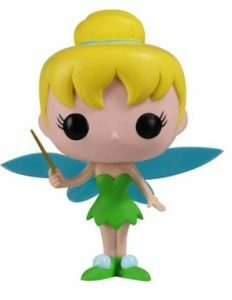 Disney line, each Funko Pop Peter Pan figure is around the standard size of 3 3/4” tall. 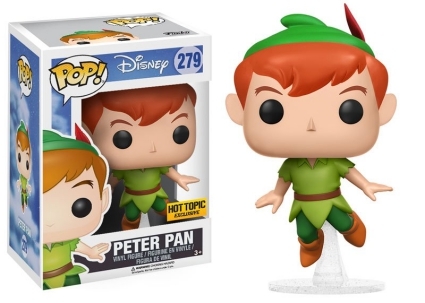 Need more Peter Pan collectibles? Fans who want to test their luck can discover Captain Hook and Pan with the Funko Disney Heroes vs. Villains Mystery Minis. Meanwhile, cardboard collectors can find unique options in the 1965 Donruss Disneyland Puzzle Back set, while 2003 Upper Deck Disney Treasures Series 1 takes a more traditional card approach.